To say that bath spaces have changes would be an understatement. 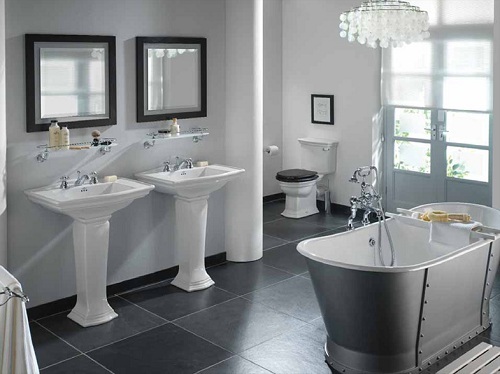 The enormous sophistication in the range of bath products and the change in the way people look at the space, has attracted several international players into the Indian markets, witha slew of technologically advanced and designed products. The new trendy bathroom designs are making use of lot of wood furniture into the bathroom. Various companies are into the race for designing the furniture specifically for the application area and is resistant to both water and humidity. 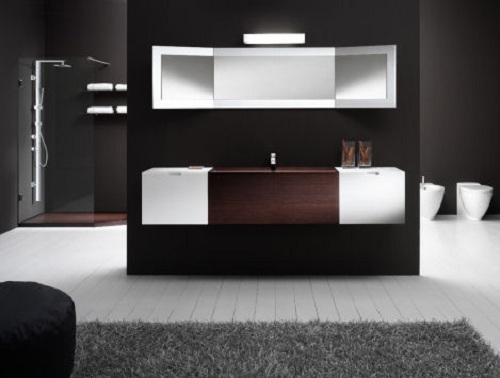 Wood surfaces act as a link between the bathroom as a space and its diverse range of elements. When fitted with panelling, drawers or shelves, washbasin, bathtubs and shower trays become items of furniture in their own right. These elements can also be complemented by wall cabinets with valuable storage space, bathrooms are currently in a period of transition. Today people expect more from them then the traditional showering or cleaning their teeth. The bathroom is becoming a living room space. At the end of the trend analysis, the last man standing is technology and the ways in which it is used to create both product and ambiance, generating the look of the 21st century. New realities have engendered the need for new solutions and technology has made them happen. From ergonomic seating solutions to offices, to massage chairs to fire retardant materials and low emission wood conglomerates, and an entire gamut of lighting products technology has helped change the way interiors look all over the world. it is very nice please i need more of it cos am a civil engineering student. I recently saw a bathroom renovation that nearly doubled the space by adding two sinks. The concept baffled me until I saw that they had hung a two-sided mirror by cable from the ceiling, placing pedestal sinks back to back, enabling the couple to utilize the space at the same time. The room itself was width dependent, and seemed to be a very creative use of the space.